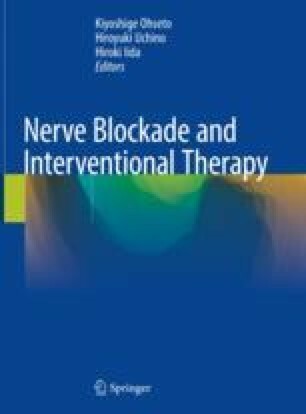 Thoracic subarachnoid block is a technique suitable for treating chest and/or back pain localized to either side of the body. While this block treatment can be conducted using the landmark technique, it should be performed under X-ray guidance in order to improve the interspinal position of the needle and better predict the spread of the drug. In recent years, subarachnoid blocks have also been carried out under ultrasonic echo examinations. I am grateful to Dr.Yutaka Tanabe and Dr. Shinzo Tubota for generously providing the photographs included in this chapter.